United Nations (United States) (AFP) - UN Secretary General Antonio Guterres on Saturday urged the signatories of a peace accord in the Central African Republic to "expedite its implementation," a day after the formation of a new government that includes representatives of armed groups. 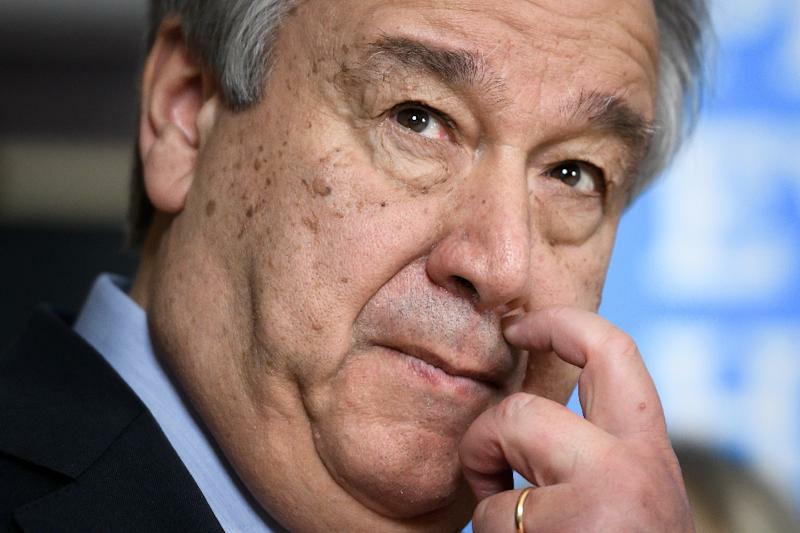 Guterres "urges all signatories of the Political Agreement for Peace and Reconciliation to adhere to its agreed principles, especially the rejection of violence and respect for human rights and human dignity," a statement said. "He further urges all signatories of the peace agreement to expedite its implementation." The new government of Central Africa, appointed by presidential decree on Friday, includes ministers from armed groups that signed last month's peace deal. Under the provisions of a peace accord -- signed in the CAR capital Bangui on February 6 -- President Faustin-Archange Touadera agreed to form an "inclusive" government. The resource-rich country has been racked since 2013 by a war which has displaced around a quarter of its 4.5 million population. CAR has been struggling to recover from the bloodletting that erupted when former president Francois Bozize, a Christian, was overthrown in 2013 by the Seleka rebels. Armed groups, typically claiming to defend an ethnic or religious group, control about 80 percent of the CAR, often fighting over access to the country's mineral wealth.